rādhikā—Śrīmatī Rādhārāṇī; hayena—is; kṛṣṇera—of Lord Kṛṣṇa; praṇaya-vikāra—transformation of love; svarūpa-śakti—personal energy; hlādinī—hlādinī; nāma—name; yāṅhāra—whose. Śrīmatī Rādhikā is the transformation of Kṛṣṇa’s love. She is His internal energy called hlādinī. 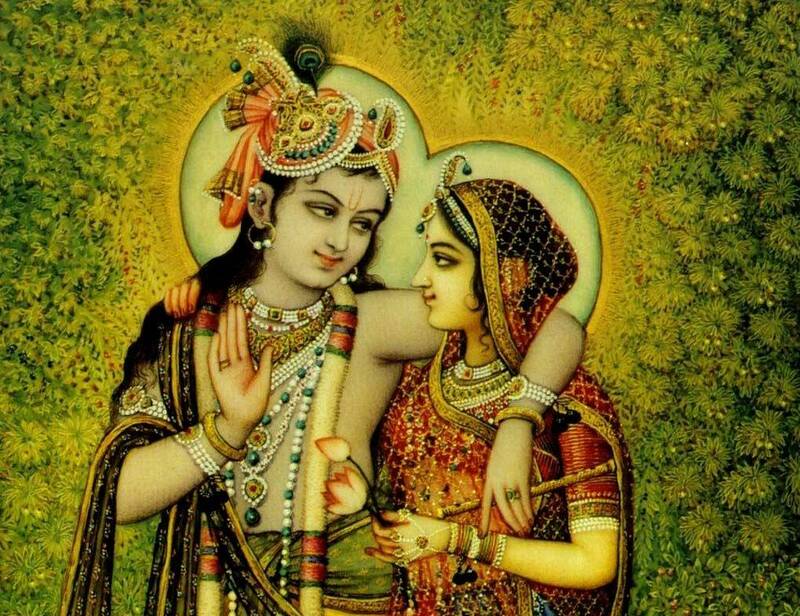 hlādinī—the hlādinī energy; karāya—causes to do; kṛṣṇe—in Lord Kṛṣṇa; ānanda-āsvādana—the tasting of bliss; hlādinīra dvārā—by the pleasure potency; kare—does; bhaktera—of the devotee; poṣaṇa—nourishing. That hlādinī energy gives Kṛṣṇa pleasure and nourishes His devotees. What is the particular attraction that makes the Supreme Lord enthusiastic to accept devotional service, and what is the nature of such service? The Vedic scriptures inform us that the Supreme Personality of Godhead, the Absolute Truth, is self sufficient, and that māyā, nescience, can never influence Him at all. As such, the potency that overcomes the Supreme must be purely spiritual. Such a potency cannot be anything of the material manifestation. 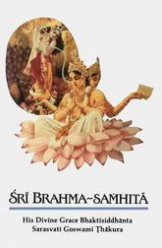 The bliss enjoyed by the Supreme Personality of Godhead cannot be of material composition like the impersonalist conception of the bliss of Brahman. Devotional service is reciprocation between two, and therefore it cannot be located simply within one’s self. Therefore the bliss of self-realization, brahmānanda, cannot be equated with devotional service. Hlādinī is the personal manifestation of the blissfulness of the Supreme Personality of Godhead, by which He enjoys pleasure. Because the pleasure potency is perpetually present in the Supreme Lord, the theory of the impersonalist that the Lord appears in the material mode of goodness cannot be accepted. The impersonalist conclusion is against the Vedic version that the Lord possesses a transcendental pleasure potency. When the pleasure potency of the Supreme Personality of Godhead is exhibited by His grace in the person of a devotee, that manifestation is called love of God. “Love of God” is an epithet for the pleasure potency of the Lord. Therefore devotional service reciprocated between the Lord and His devotee is an exhibition of the transcendental pleasure potency of the Lord. The potency of the Supreme Personality of Godhead that always enriches Him with transcendental bliss is not material, but the Śaṅkarites have accepted it as such because they are ignorant of the identity of the Supreme Lord and His pleasure potency. Those ignorant persons cannot understand the distinction between impersonal spiritual bliss and the variegatedness of the spiritual pleasure potency. The hlādinīpotency gives the Lord all transcendental pleasure, and the Lord bestows such a potency upon His pure devotee.